It endows the person with Love of God which is the very spirit of Islam - for God has opened a way of access to everything, and the way to Love is constancy in Remembrance [Dhikr]. It endows one with Muraqabah [vigilance] which opens to the door to Ihsan - entering therein, the servant worships God as if he were seeing Him. It predisposes the servant to turn back to God in every state. It endows him with proximity to God. His proximity to God is in proportion to his remembrance; his distance in proportion to his heedlessness. It removes estrangement between the servant and his Lord. Words of Remembrance become like the buzzing of bees around the Throne of God. When he knows his Lord through Remembrance [Dhikr] in times of ease his Lord will know him in times of adversity. The Remembrance of God [Dhikr] and tears that are shed – give a person shade on the Day of Judgement. It is the easiest form of worship – using the tongue is easier compared to actions of hands and feet. 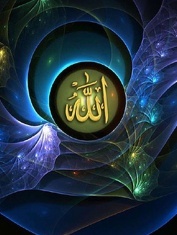 Constancy in Remembrance of God [Dhikr] brings about security from forgetfulness of Him. This forgetfulness is the cause of the servant’s misery both in this worldly life and the Day of Judgement. Remembrance of God [Dhikr] is basis of Gratitude and thanks [Shukr] – when you remember Him abundantly you thank Him abundantly. Remembrance of God [Dhikr] is both the source and the basis of intimate friendship with God – A servant continues to remember his Lord until He loves him. God’s remembrance of him precedes his remembrance of Him, for when God remembers His servant, it inspires the servant to remember Him. In prayer, you remember God and He remembers you, and His remembrance of you is greater than your remembrance of Him. The most excellent of those who perform any practice are people who do it with the greatest remembrance of God. The most excellent of those who fast, are those who remember God the most in their fasting -the most excellent of those who do Hajj, are those who remember God the most in [their Hajj] etc. May God Almighty endow us to be continuous in our Remembrance of Him – and bless us with His Love [ameen].